Some plants – particularly those with variegated leaves or other colours – produce stems with all-green leaves. This is called reversion, and these stems should be removed. Some plants – particularly those with variegated leaves or other colours – produce stems with all-green leaves. This is called reversion, as the plant is ‘reverting back’ to a different form from its parentage. It is most commonly a problem in trees and shrubs with variegated leaves. Because the leaves on the all-green stems contain more chlorophyll (the pigment used to make food for the plant) than variegated ones, they are much more vigorous, grow quicker and can take over the plant. This ruins the look of the plant – both its shape and its colouring. Many variegated plants originally originated as a natural mutation or sport of an all-green plant. The variegated shoot is propagated and this results in a new variegated variety. However, these mutations are not always stable and the plant ‘reverts back’ to the original all-green leaved mother plant. 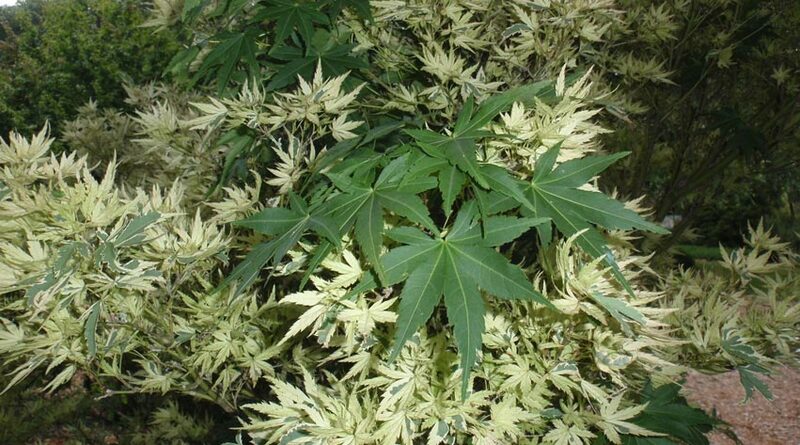 Some variegated-leaved plants, especially hollies, may produce pale yellow or white stems. As these are weaker than green ones they don’t take over the plant. You can’t prevent reversion – if a plant is going to revert back to all-green leaves, then there’s nothing you can do to stop it. Just keep an eye on variegated plants – evergreen varieties of Ceanothus, Elaeagnus, evergreen Euonymus and Hedera (ivy) are particularly susceptible to reversion, for example. As soon as you see any all-green leaved shoots, cut these out completely, preferably cutting back into growth that contains the variegated foliage.